Reservations for 2018 school field trips conducted September 25 - October 31 are now being scheduled. 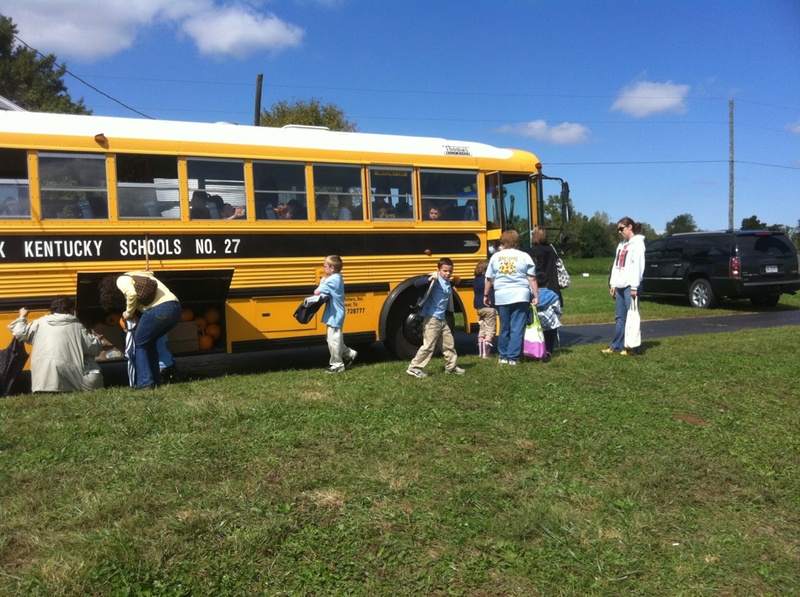 Crawford Farms can accommodate up to 250 students a day and most groups opt for the 4 hour excursion, which allows for the hayride and eating lunch on site. Sack lunches can be brought from school or $3 meal deals can be ordered in advance through our Snack Shack. 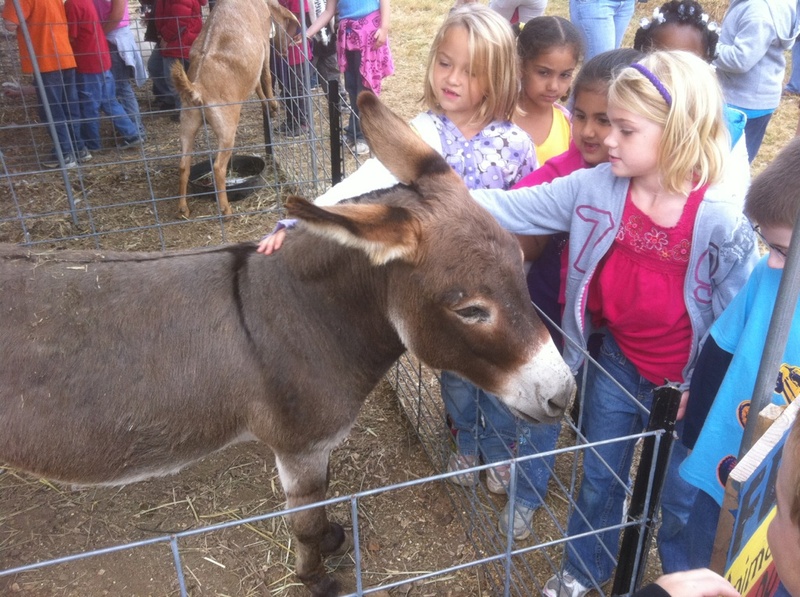 Field trip package entitle each student an admission to Sprigg's Playland and Petting Zoo. 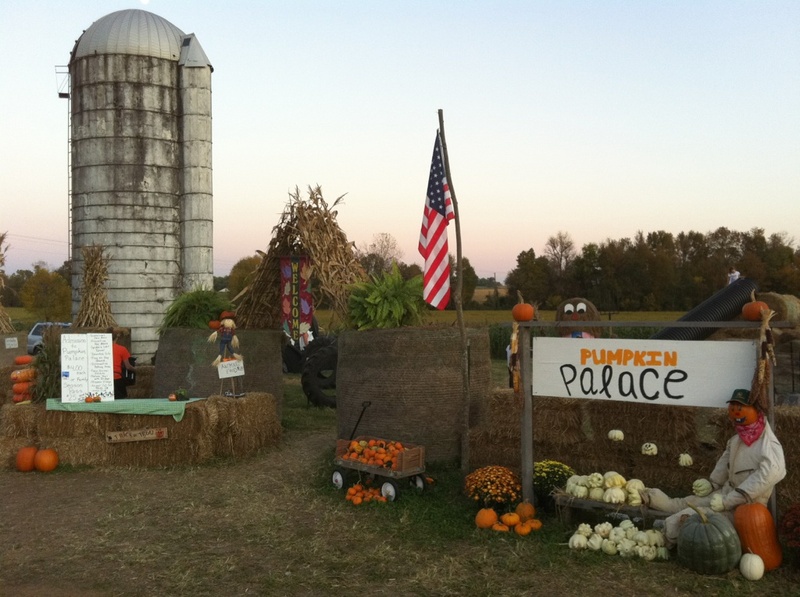 Plus, he or she gets to go on a 20 minute hayride, take a barrel train ride, hand feed the gentle farm animals and take home both a field trip size pumpkin and mini gourd. With engaging educational and recreational attractions, Crawford Farms is sure to create a memorable experience for teachers and students alike. 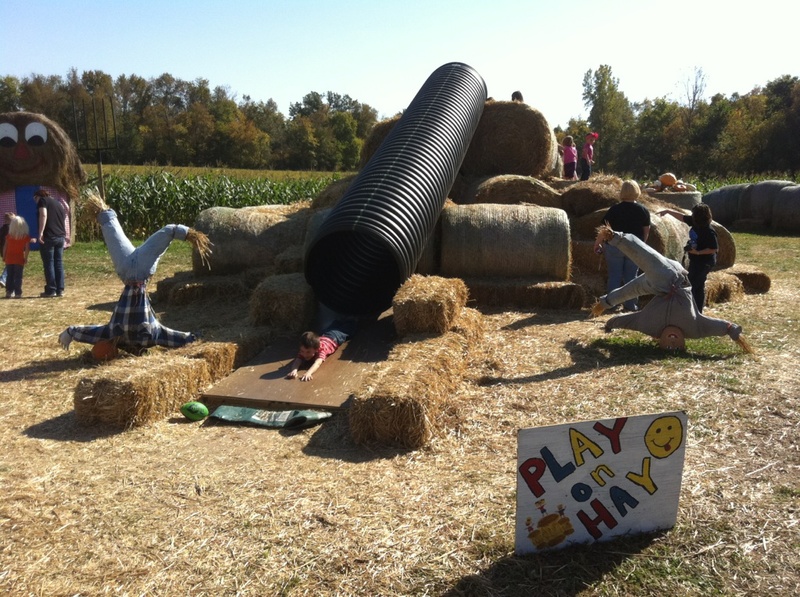 If time restraints prevent your group from taking the hayride, please inform Mason prior to arriving so the schedule will be accurate. Animal Alley Paddocks with sheep as well as Goats on the Hillside with sheep and chickens plus the farm animal photo cut out. One acre Minions Corn Maze, Corn Toss and Rubber Duck Races and giant Minion Hay Sculpture for photos. Nature Trail complete with wooded area, natural wetlands, view of Middle Creek and three bridges spanning spring fed brook; supplemented with Corn Stalk Wigwam and turkey hay sculpture for photos. Play Area with Huge “Play on Hay” mound, the newly designed Single “Mega-Slide”, Spider’s Lair” tunnel with Haunted Silo, Mousetrap Maze as well as stagecoach and mouse hay sculpture for photos. 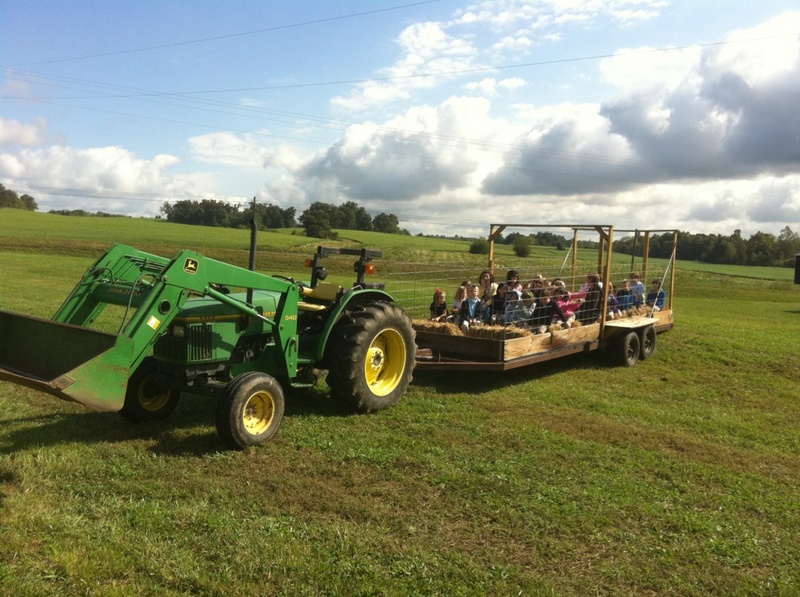 The 20 minute hayride is optional in our custom made, fully enclosed trailer pulled by a new John Deere tractor maximizes both safety and visibility. We cross the Old Hodgenville/Etown Road (Hwy. 210) and travel along the grass waterways that wind through the corn fields to the “back forty” of the farm. We often see a neighboring herd of cattle at the bottom of “roller coaster” hill as well as native fauna such as hawks, deer, turtles, turkeys and ducks. 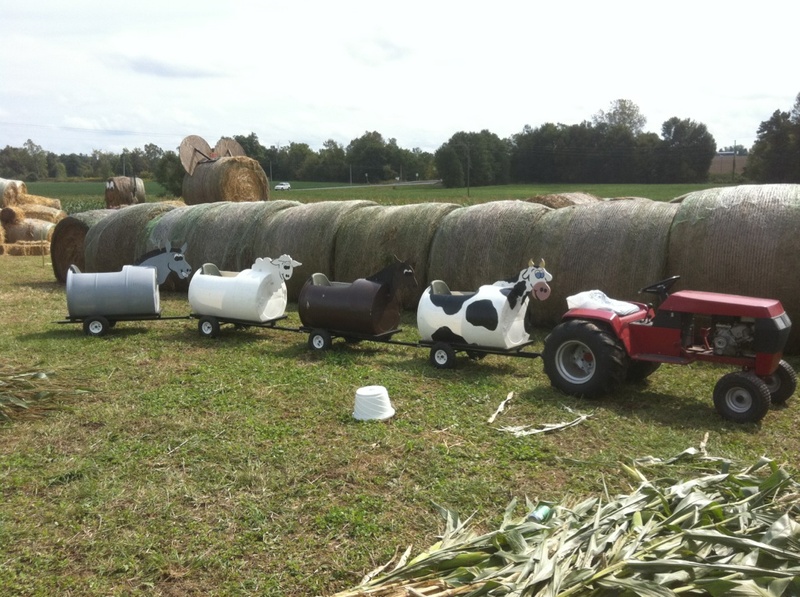 As an added bonus, all field trips include barrel train ride that are sure to keep the kids giggling and smiling. 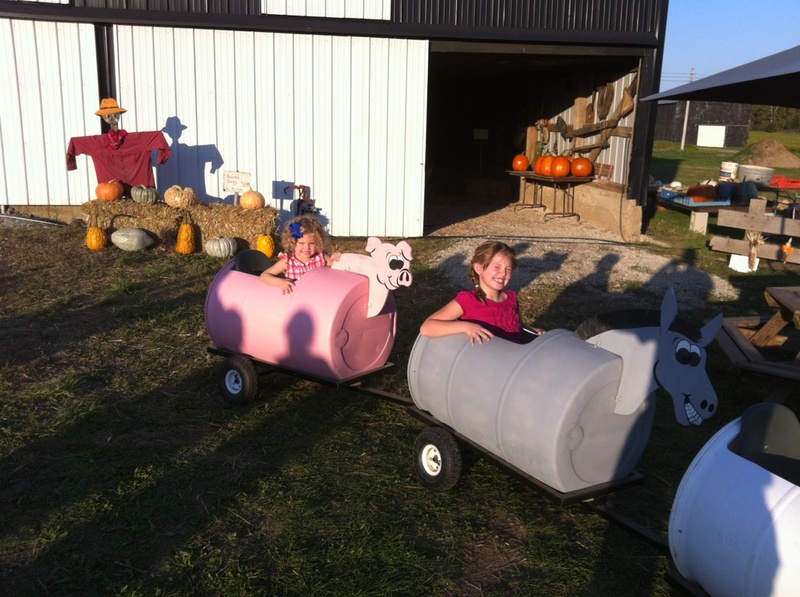 Students are shuttled in our custom made barrel train cars that are crafted to look like farm animals and are pulled with a garden tractor. Students on Crawford Farms field trips will learn about Agri-Tourism, Animal Care, Nature and the Environment, and of course pumpkins. To maximize the experience, students are kept in small class size groups as they rotate through attractions following the general welcome. Sack lunches brought from school or home can be eaten in our barn at assigned times or if schedule in advance, hot dog meal deals can be served by Crawford Farms staff at the assigned lunch rotation on the schedule. *It is the teacher's responsibility to determine an accurate estimate of students, staff, parents and siblings and provide this information at least three days prior to field trip so adequate hayrides may be scheduled. Also, teachers are asked to bring plastic grocery sacks with kids names already printed on them. Any additional produce or other products from the Barnyard Marketplace may be purchased directly from a Crawford Farms associate while visiting the farm. * Call to find out criteria for discounted rates. Additional discounts are offered if over 600 students from a single school schedule at the same time for visits spread over multiple days. Teachers, assistants and bus drivers are free. Tentative guest numbers should be supplied by the school. The chaperone fee of $3.50 and sibling fee equivalent to group rate is to be paid on site. Sales tax will be added to schools or institutions not qualifying for tax exempt status. A tax exempt form provided by eligible schools is required to avoid 6% sales tax. Below are two sample schedules...one with hayrides and one without. Each individual class of at least 20 students forms one group.